“Right now for House Republicans one of their important rally cries is that EPA regulations are excessive and even abusive,” said Robert Stavins, director of the Harvard Environmental Economics Program. After President Barack Obama’s push for a climate bill in Congress collapsed last year, the EPA was left as the last bastion of hope for his environmental policy. Almost on par with government spending, Republicans galvanized around the issue, using every opportunity, such as congressional hearings, relentlessly to criticize EPA chief Lisa Jackson and stymie her agency’s efforts. He could push hard for savings from the EPA’s budget as he has led the battle against its rules. Senate Majority leader Harry Reid recently said he sees no threat to the EPA from Upton’s presence on the super-committee. “I would assume they will make a serious effort to cut back and apply pressure to cut back EPA regulatory activity as part of this budgetary process,” Stavins said. “We want to keep passing things on the House side that would reverse things EPA is doing simply because we’d like to see those 23 Democratic senators up for reelection next year vote on some of this,” Whitfield said. Of the most contentious proposals, the EPA wants to cut greenhouse gas emissions from the country’s major utilities. But the process has been delayed, in part, some suspect, by Republican pressure. Despite strong pressure from the coal industry and its political allies, the Obama administration on Thursday finalized new guidance aimed at reducing the environmental and public health impacts of mountaintop removal mining in Appalachia. U.S. Environmental Protection Agency Administrator Lisa Jackson has said that “no or very few valley fills” would be approved under new guidance that EPA regional offices will now impose on state regulators for permits under the federal Clean Water Act. EPA officials said the guidelines — being challenged in court and under fire from Congress — are needed because of a growing body of science that details devastating water quality impacts downstream of large-scale surface mines. The new EPA guidance calls for tougher permit reviews, including more detailed studies of whether mining impacts can be avoided or reduced, new testing of potential toxic impacts of mining discharges, and tough limits on the increases in electrical conductivity, a crucial measure of water quality. EPA said in a statement that the guidance would not block all mining permits, and cited three examples over the last two years when agency officials worked out acceptable deals with coal operators to approve new mining projects. In the 61-page guidance memo, EPA said that since 1992, more than 1,200 miles of Appalachian streams have been filled by Appalachian coal mining operations. EPA cited an ongoing rate of about 120 miles of streams per year being impacted. With a handful of Democratic votes, the House Energy and Commerce Committee passed a bill Wednesday that limits the EPA’s ability to regulate coal ash and says coal ash residue deserves little more scrutiny and regulation than municipal trash. Instead of giving the Environmental Protection Agency the mandate to regulate coal ash, the bill puts the onus on states to set up a program to deal with the issue. EPA would provide oversight. The bill passed by a 35-12 vote, with six Democrats joining the GOP. 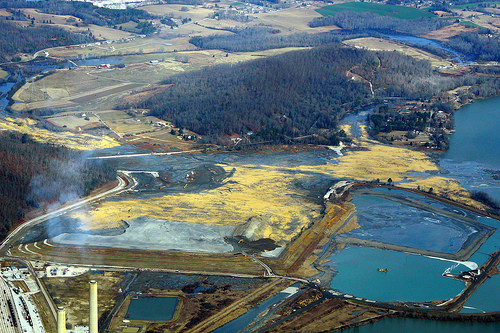 As iWatch News has reported, coal ash’s metals have poisoned water supplies, damaged ecosystems and jeopardized the health of nearby residents. EPA has faced stiff resistance in trying to regulate the material as hazardous waste, led by coal-supported politicians such as one of the bill’s biggest proponents, David McKinley, R-W.Va. Climate change, and our attempts to prevent it, can worsen indoor air quality and make people sick. That’s are the key finding of a report compiled by the Institute of Medicine of the National Academies at the request of the U.S. Environmental Protection Agency. There isn’t enough evidence to say whether climate change was already harming indoor air quality, the report finds. ‘However, available research indicates that climate change may make existing indoor environmental problems (worse) and introduce new problems,’ the report says. It reviewed existing science, and found it lacking. Perhaps the most attention-grabbing notion is that ‘green’ buildings can endanger public health. That’s because they seek to save energy use by, among other things, adding insulation and sealing leaks. ‘Research indicates that poor ventilation in homes, offices and schools is associated with occupant health problems and lower productivity,’ the report says. This finding is particularly noteworthy now, because many developers are erecting buildings that meet various green standards that include weatherization and sealing of the building envelope. And many governments have started requiring new public and, in some cases, private buildings to achieve green certifications, such as those under the U.S. Green Building Council’s Leadership in Energy and Environmental Design program. 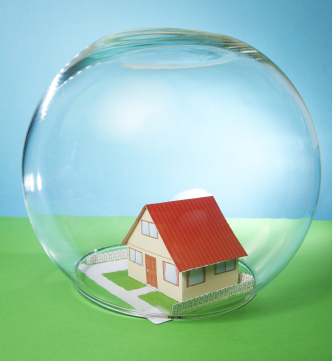 ‘The United States is in the midst of a large experiment of its own making in which weatherization efforts, energy-efficiency retrofits, and other initiatives that affect that characteristics of interaction between indoor and outdoor environments are taking place and new building materials and consumer products are being introduced indoors with little consideration of how they might affect the health of occupants,’ the report says. It should be noted that many green-building standards include minimizing use of materials that contribute to indoor air pollution by giving off fumes and gases. And many green buildings prioritize bringing in outside air during warmer periods by having windows that open, a rarity in office buildings. The report also finds that climate change itself can worsen indoor air quality. ‘Increased use of air conditioning, an expected adaptation measure, could exacerbate emissions of greenhouse gasses and, if accompanied by reduced ventilation rates, increase the concentration of pollutants emitted from indoor sources,’ it says. Bisphenol A—an estrogen-mimicking chemical found in baby bottles, food containers, and household electronics—has been linked to a host of health problems in animals and people. Now researchers have detected it in the environment and urine of young children, revealing that preschoolers absorb BPA primarily through the food they eat. Manufacturers use BPA to make plastics and epoxy resins, and BPA can leach from products containing these materials into food, beverages, dust, and air. Numerous studies, mostly conducted on animals, have linked high levels of the endocrine-disrupting chemical to conditions such as cancer, obesity, heart disease, infertility, and neurological disease. Although scientists think that developing organisms are the most susceptible to BPA’s potential toxic effects, few studies have examined BPA exposure in young children, says Linda Sheldon, associate director at the U.S. Environmental Protection Agency. So in 2000 and 2001, Sheldon, Marsha Morgan, an EPA research scientist, and their colleagues joined forces to measure children’s exposures to BPA and other chemicals in an EPA study called Children’s Total Exposure to Persistent Pesticides and Other Persistent Organic Pollutants (CTEPP). They collected samples of solid and liquid foods, air, dust, and soil from the homes and daycare centers of 257 children between the ages of 2 and 5 in North Carolina and Ohio. . . . . The researchers showed that the children’s solid and liquid foods contained the highest amounts of BPA. However, says Morgan, “at the time we collected the samples, we weren’t able to quantify BPA in urine with existing analytical methods.” Scientists at the U.S. Centers for Disease Control and Prevention developed a mass spectrometric method to do just that, so Morgan and Sheldon sent a subset of frozen urine samples to CDC scientists for analysis. Consistent with studies done in other countries, the researchers detected BPA in all of the 81 urine samples from preschool-aged children in Ohio. However, even the highest urinary BPA concentration measured, 0.21 mg/L, was well below the maximum level EPA considers safe: 2 mg/L BPA in human urine. The researchers used statistical analysis to show that the children’s excreted amounts of urinary BPA correlated with the doses they received through their food. The team discovered that dietary ingestion accounted for more than 95% of the BPA excreted in the preschoolers’ urine. [Upstream Expert] Carlos Sonnenschein, a cell biologist at Tufts University School of Medicine, commends the researchers for their “rigorous experimental approach.” He says, “I consider this paper of great importance because it conveys evidence necessary for public health officials and politicians to react” and develop regulations that will keep BPA out of food. One of the most important U.S. EPA officials is somebody you probably don’t know. Vincent Cogliano is the new acting director of the Integrated Risk Information System, or IRIS, which assesses health risks posed by — you name it — automobile exhaust, tobacco smoke, chemicals in drinking water. EPA uses the assessments to guide its regulation writing, the focus of intense scrutiny these days on Capitol Hill. EPA hired Cogliano — a 59-year-old Washington, D.C., native, who had worked at EPA early in his career — from the World Health Organization, where for the last seven years he directed the International Agency for Research on Cancer (IARC) in Lyon, France. The program that Cogliano took over last November has long been dismissed by environmental watchdogs as weak and slow, as evidenced by a large and venerable backlog of chemicals awaiting evaluations. It is also less than well-regarded by the Government Accountability Office, which listed IRIS among “high risk” troubled federal programs (Greenwire, Feb. 16). Cogliano has plans for revamping IRIS, including streamlining its process for assessing chemicals and making plans to analyze substances that might present future health risks. His zeal for reforming the program has environmentalists cheering. 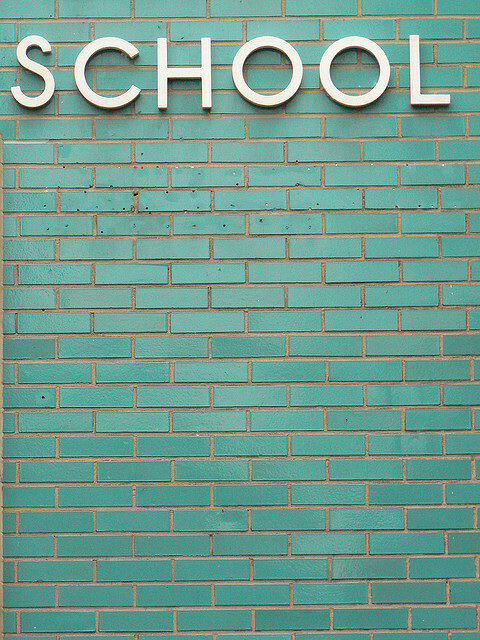 Sass added that the National Academy of Sciences has advocated using science-based factors to adjust studies and account for data gaps, kids’ exposures and other uncertainties — all recommendations that Sass said IRIS should follow. Recent studies suggest that smog-filled air kills more people and causes more breathing problems than previously thought, U.S. EPA scientists say in a new draft paper, but due to a procedural twist, the findings can’t be taken into account as Administrator Lisa Jackson decides whether to set stricter limits than the George W. Bush administration chose in 2008. The new research provides stronger evidence that short-term spikes in ground-level ozone can cause premature death, according to the 996-page scientific assessment, which was released late Friday. And on top of that, EPA scientists found evidence that long-term exposure could lead to more premature deaths — a conclusion that was not reached when the agency last reviewed the state of smog science in 2006. It is well-established that ozone can have health effects at the current limit of 84 parts per billion (ppb), which still has not been met in parts of the Northeast, much of Southern California and industrial cities such as Houston. According to the assessment, recent studies found a robust link between health effects and smog levels below either the current limit or the standard of 75 ppb that was selected by the last administration. Newt GIngrich recently proposed eliminating the EPA and putting in its place a bureaucracy that would cater to polluters. 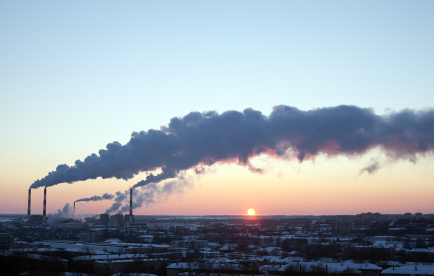 Now, some in Congress want to eliminate the EPA’s ability to update Clean Air Act standards in order to reduce life-threatening pollution like carbon dioxide, soot, smog and toxic pollution. This video explains what’s a stake. Make sure to tell Congress to let the EPA do its job. President Obama’s Environmental Protection Agency administrator has made good on something she calls a top priority: Testing chemicals used widely in the U.S. that have never been assessed for the risks they might pose to human health or the environment. It’s the same priority, in essence, that Congress set in 1976 when it passed the Toxic Substances Control Act, but 35 years later that act is “widely considered a failure” by watchdogs who note that the law exempted 62,000 chemicals already on the market in 1976, and another 22,000 have since been introduced without first undergoing rigorous testing for health and environmental risks. Testing of human blood and urine routinely turns up dozens of synthetic chemicals, some with known toxic effects like cancer, developmental and reproductive problems and liver toxicity; but many more with unknown effects, but possibly including a range of health problems, from obesity to autism. Which is why those watchdogs are expressing only reserved praise for Jackson’s announcement this week that the EPA would require companies to test 19 “high production volume” chemicals (so-called HPV chemicals are manufactured in excess of 1 million pounds every year). The 19 target chemicals are the stragglers: EPA managed to get information about 2,200 chemicals by asking companies to volunteer the information; the makers of these 19 chemicals did not comply with that request, so now the EPA is demanding it. 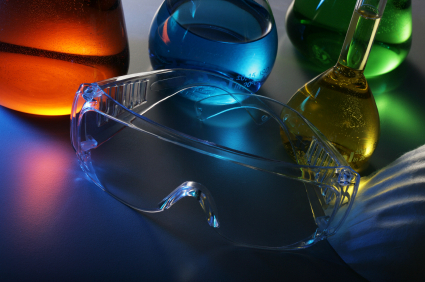 The 19 chemicals don’t have names that most Americans would recognize, but they are used in a range of consumer goods and industrial processes, from personal care products and dyes to metalworking, demolition and fingerprinting. Center for Public Integrity: EPA chemical health hazards program has 55-year backlog of work, report says. Eighteen months after the Environmental Protection Agency announced reforms to its controversial process for evaluating health hazards posed by dangerous chemicals, significant problems continue to hamper the program and leave the public at risk, according to a new report by a nonprofit research group.The agency has fallen years behind in meeting its statutory requirements to profile at least 255 chemicals and assess their potential links to cancer, birth defects, and other health problems. That delay has effectively halted numerous regulatory actions that would protect the public, according to the report by the Center for Progressive Reform, a public health and environmental protection group. “[The Obama administration has] been so busy reacting to the right wing and fighting off crisis after crisis that it’s been difficult for them to see this pattern of regulatory failure,” said Rena Steinzor, president of the center and a University of Maryland law professor. The Government Accountability Office, Congressional committees, and other experts have criticized the EPA’s Integrated Risk Information System (IRIS) in recent years. Under President George W. Bush’s administration, critics say, the agency’s chemical assessment efforts ground to a near halt because of interference by other federal agencies, unwarranted delays, and a lack of transparency. The GAO warned in a 2008 report that the IRISdatabase “is at serious risk of becoming obsolete.” In January 2009, the GAO added the EPA’s method for assessing and managing chemical risks to its list of“high-risk” areas requiring attention. 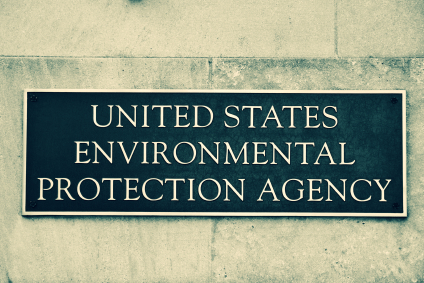 This week the U.S. Environmental Protection Agency, better known as the E.P.A, celebrates its 40th anniversary. From that time to the present, America’s environmental history has seen both dramatic events and undergone remarkable progress. But while we’ve made great strides in the ongoing environmental movement, Administrator Jackson believes much more can be done. Tavis Smiley interviews EPA Administrator Lisa P. Jackson in the following podcast.